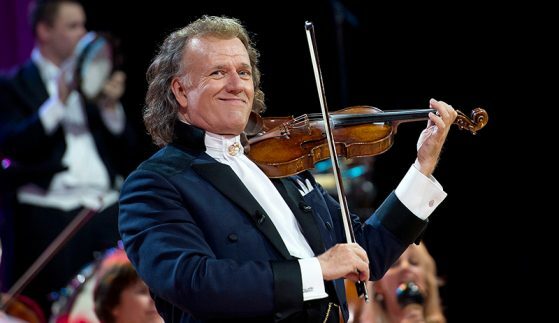 Learn more about 'The King of Waltz' in André Rieu's press room. Learn more about ‘The King of Waltz’ in André Rieu’s press room. Browse our press releases, view photos & videos, and search the archives. Questions? Don’t hesitate to contact us. Biggest male solo touring artist and the only classical artist to enter Pollstar’s TOP 10. Is dubbed the ‘Modern King of Waltz’ by the media. More than 500 Platinum and 270 Gold awards. My dear friends, I am incredibly excited to share with you a highlights video from my most recent Maastricht concert. I hope you enjoy reliving the moments as featured on the ‘Falling In Love’ CD and DVD available today!